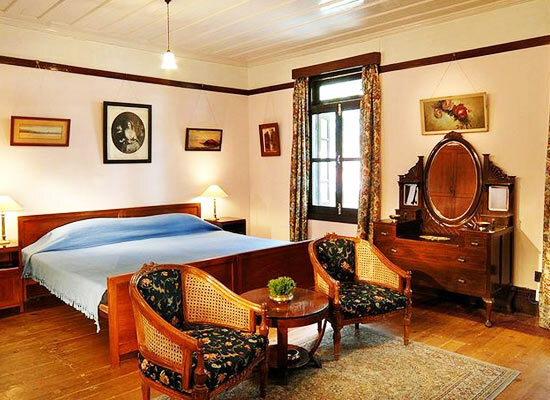 "One of the best heritage hotels in Shimla, Woodville Palace Hotel boasts of a wonderful charm of British Aristocracy and colonial feel. The property used to be the venue of gala evenings and tea parties. The former summer residence of the Raja Rana of Jubbal, this heritage property today offers a memorable stay, amid all modern comforts and facilities. The rooms and suites have a wonderful decor inspired from 1930's art deco, and come well-equipped. 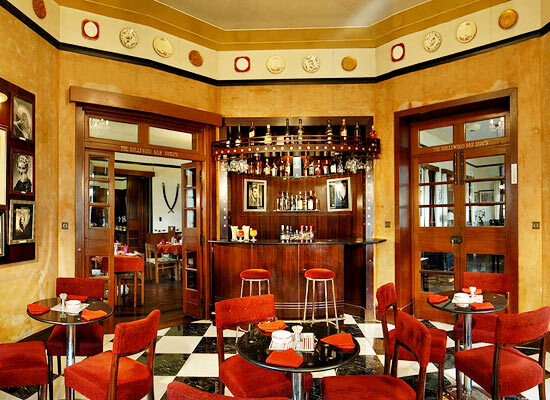 The dining venues serve lip-smacking delicacies from world over and the bar is a well-stocked one. The property is placed 7000 feet above the sea level and thus offers wonderful views of the surroundings. 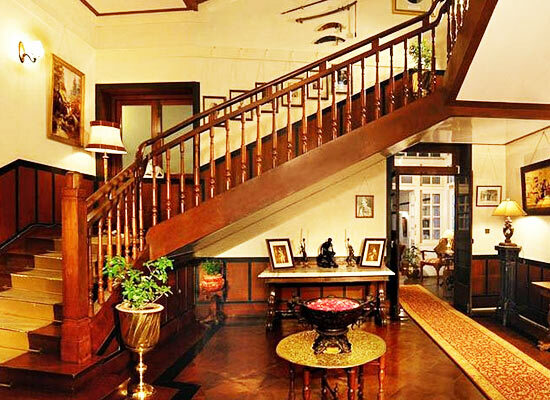 The interior of the place is royal and the antiques, decor and period furniture look wonderful. Placed amid deodar pine forest, Woodville Palace looks wonderful with the Himalayas in the background. The first recorded owner of this property was William Rose Mansfield, Commander-in-chief of the Imperial British Army. The paperwork says that on 2nd Feb 1866, he purchased this property from Major-General Sir Arthur Milford Beecher for a sum of Rs 22000. After that, it turned into the official summer residence of the Commander-in-Chiefs of India. Then in 1876, the property was bought by Mrs. Henrietta Ruth Maria Alexander, who leased the property for a span of 6 years to the Commanders-in-Chief of India. After spending 5 years here, General Sir Frederick Paul Haines handed over the property General Sir Donald Martin Stewart. However, in 1882, he shifted to Snowdon, which then became the official Commander -in-Chief's residence in Shimla till 1947. 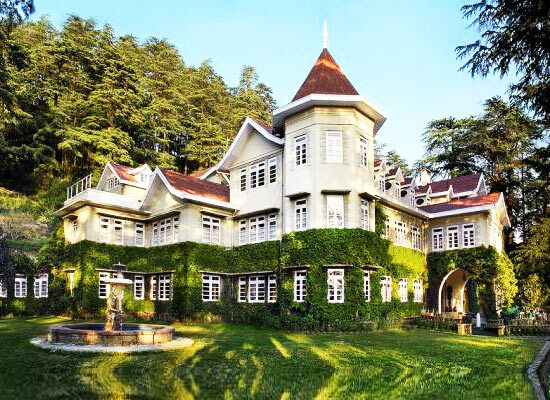 Woodville was then sold by Mrs. Alexander to Mrs. Eliza Maria Walker, wife of Sir James Lewis Walker, who was the first Manager and then the Chairman of the Alliance Bank of Shimla. Till her death, the property was in the hands of Mrs. Walker, which then came in the hands of her husband. 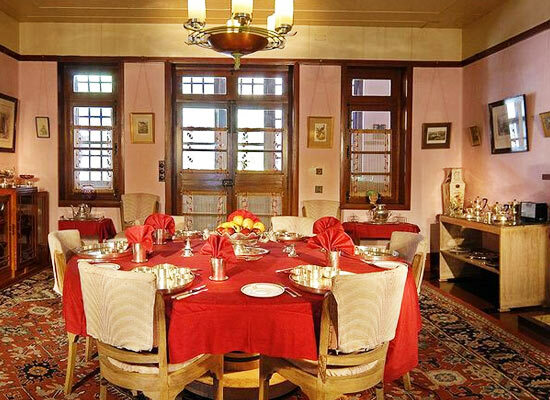 Till 1919, the property was with Sir Walker and then sold to the Alliance Bank of Shimla for Rs 125,000. After its closure, as a part of liquidation of its assets, the bank had put the property on sale after 1923, after its closure. In 1926, Woodville got its new owner in the form of His Highness Maharaja Sir Bhagvat Singh, of Gondal State, Gujrat, Western India. He paid a sum of Rs 1, 50,000. He gifted this palace to Rani Leila Ba of Jubbal, his daughter, in 1930. For 12 years the property was unoccupied then in 1938, it was demolished by Raja Rana of Jubbal State Sir Bhagat Chand. He then turned this Victorian property into a stunning summer palace by putting-in a sum of Rs 5000,000. The place was the residence of the Jubbal royal family till 1977, which was then converted into a heritage hotel by his grandson, Raj Kumar Uday Singh. The suite was the personal room of Raj Kumar Birendra Singh of Jubbal and his wife Raj Kumar Rani Ourmilla Devi of Jubbal. The original décor of the 1940’s with original fixtures, bed and furniture have been kept intact. The suite features a bedroom, a dining table and a sitting room. This suite has a functional fire place. Some of the contemporary conveniences in this room are mini bar, tea/coffee maker, TV, room service, intercom, study table, sofa unit, Wi-fi connection etc. The attached bathroom comes with toiletries and Geyser. 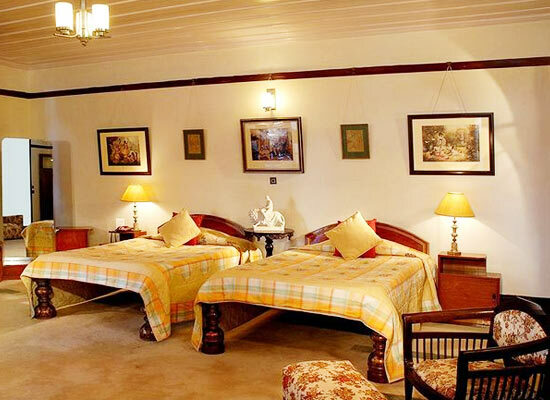 Looking like original rooms of the palace, these rooms take all your tiredness away. The décor and designing of every room is different and elegant. The original fire place adds to the charm, along with keeping you warm in the winters. The attached bathroom feature geyser and other toiletries. Tea/coffee maker, television, room service, Wi-Fi internet, room heater, study table, sofa unit and intercom are some of the comforts of these rooms. The rooms are a blend of contemporary amenities and antique décor. Geyser and other toiletries are a part of the attached bathrooms. Enjoy facilties and amenities such as intercom, study table, sofa unit, Wi-fi connection, room service, tea/coffee maker and television. 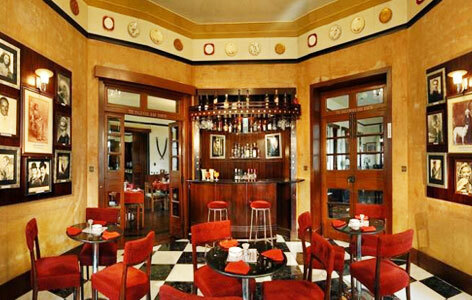 Woodville Palace offers a number of multi-cuisine dining options for guests. The Octagonal Hall is the perfect venue to enjoy a gastronomical delight featuring the best of Continental, Himachali, and North Indian cuisines. The Garden Café lets you enjoy nature while relishing some exquisite dining. There is also a beautiful garden restaurant - ‘The House of the Rising Sun’, which has been newly introduced. Shimla – the capital of Himachal Pradesh is a hill station that abounds in natural splendor, and the bracing mountain air acts as a rejuvenating balm to the work-weary travelers. Popularly referred as the “Queen of Hills” - Shimla entices numerous tourists to enjoy idyllic holiday amid the cool airs of the hilly town.